A new story came out today about Russia potentially preventing the US from using the ISS. One of the claims made was: "The Russian segment [of ISS] can exist independently from the American one. The U.S. one cannot." Leaving aside all the political considerations of whether any of this is a good idea, is this claim true? Can the US side not survive on it's own? Why was such a design made so that it couldn't survive but the Russian side could? What is being referred to here is the fact that the guidance, navigation, control, and propulsion capabilities of the ISS are entirely contained in the Russian Zvezda module. NASA does have a module on the ground that is capable of replacing the Zvezda module temporarily for three years called the Interim Control Module, but the US currently has no way of delivering this to orbit. We have designs for a long term module to replace Zvezda, but the design was never approved and is now outdated and would need to be revised. 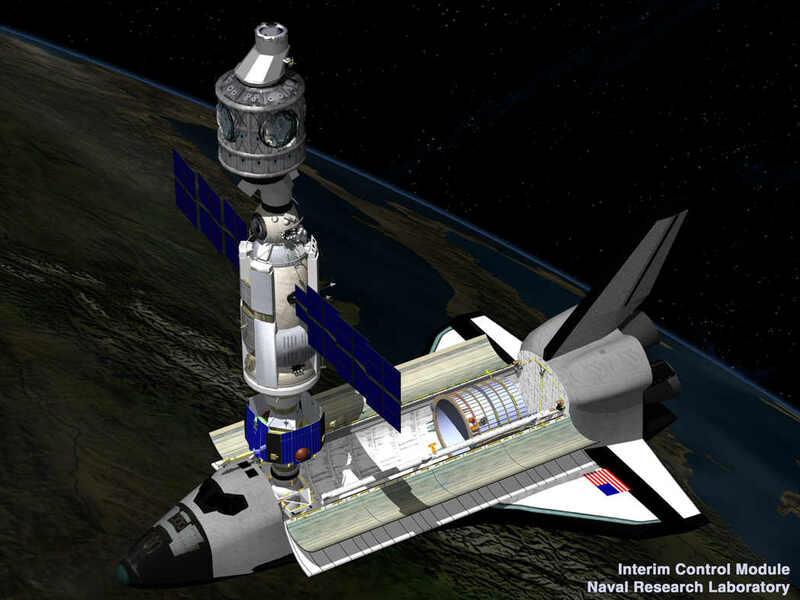 Zvezda was originally designed to be part of a successor to the Russian Mir space station, but was gifted to the International Space Station as part of a good faith effort between Russia and the US. This is why there is a strong reliance on Zvezda today. The US had plans to backup the Zvezda module, but they were not needed at the time, since Zvezda was successful. As far as the political situation is concerned, if the Russian government really did break faith with the US in this way, it might be enough impetus to reignite the space race. With the proper budget (which a reignited space race might provide), the US has ample capability to strike out on its own. There would be political ramifications from this, obviously, and at this time we cannot know how the US, Russia, and the world would be affected by a new space race. It could be good or bad, and likely a mix of both. It may cause an acceleration of technological development, but it could also have nasty side effects. Others have already answered the first part of the question ("is it true?"). I would like to address the second part ("Why was such a design made?"). The ISS was launched in parts over the course of several years. That means it was necessary to first launch those modules which were vital to the survival of the station and then launch any of the more science-oriented modules. The first module was the Functional Cargo Block module, which provided electrical power, propulsion and guidance. This module made sure that the station itself could maintain its orbit (at that point it was still autonomous). The second (major) module was the service module which provided life support and made the station habitable for a crew. The project planners handed the responsibility for these modules to Russia who named them Zarya and Zvezda. At that time Russia had the most experience with building and maintaining a habitable space station due to the Mir project. That meant the responsibility for the two most survival-critical modules was well-placed in their hands. After these modules were in orbit, adding other modules providing the same functionality would have been redundant and a waste of the already tight budget of the project. It depends. The US side technically owns (as in paid for) the Zarya FGB tug which is critical to the station. The Zvezda service module is a major module as well. The Russian plan is basically to take the next two modules they are launching, (one day, maybe, in the future, someday) to form the base of a new station. The MLM and UM. The question becomes, will they take Zvezda with them or not. There are alternate plans for that both ways. 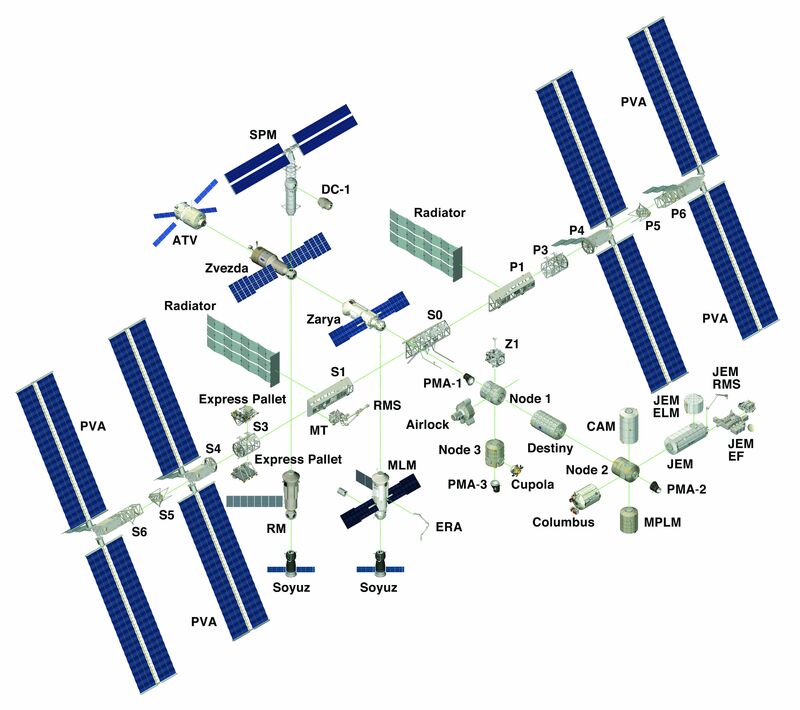 You can see more about these modules in the answer to the question I asked about Will the ISS need more docking ports. If they leave Zvezda, then the station reboost facility is still there, you just need to get fuel to it. Which normally Progress does, but ATV can do it as well. Alas, the ATV gets its Kurs docking computer from Russia aftermarket. Depending on how badly Russia wants to piss off the US and vica versa will determine the outcome. Not the answer you're looking for? Browse other questions tagged iss us-segment russian-segment or ask your own question. Are there any weapons in space? What does Zvezda alone lack from being a capable space station? How will the RD-180 ban affect US space program? How long can a 2 person crew survive on ISS totally cut from Earth?